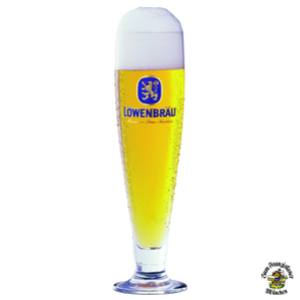 Served at the right temperature, the original Löwenbräu Original is a delight for any beer-lover. 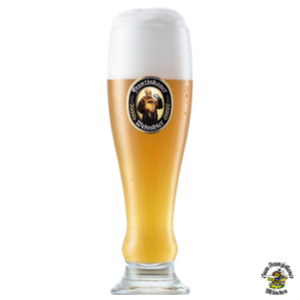 The combination of white foam and premium flavor highlights the native Bavarian hops used in its brewing. Prost – cheers! We recommend this dish: Our juicy Munich-style schnitzel, made of organic pork, served with cranberries and homemade potato salad. We recommend this dish: The Franziskaner’s oven-baked Leberkäse (a type of meat loaf) served with a crusty pretzel and a special homemade mustard. A delight for the palate! This Löwenbräu shandy is one of the most popular summer refreshments we offer. The recipe? Two parts Löwenbräu Original mixed with one part lemon-flavored soda. The result? A drink that will truly quench your thirst. On hot days, you can’t go without it – it does a world of good. We recommend this dish: This type of shandy is usually served as a morning pint. Because there’s nothing better than that. Who said that Bavarians can’t brew pilsners? How ridiculous! 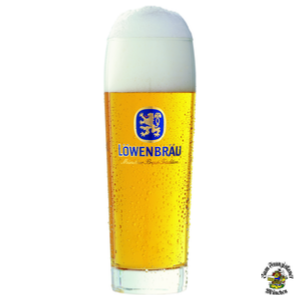 Löwenbräu’s Premiumpils is the perfect example of the bitter, refreshing flavor of a good pilsner. The shape of the glass it’s served in particularly encourages its sparkling effervescence and constantly fresh flavor. 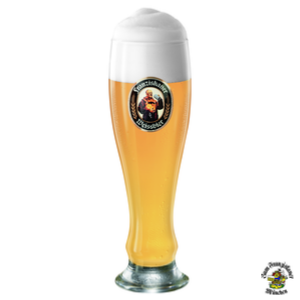 Anyone who loves beer knows that a Bavarian pils is nothing to sniff at. We recommend this dish: Our premium steaks, cooked on a volcanic rock grill, are perfect with this pilsner. Served with fresh herbed butter and crunchy fries, you really can’t go wrong. A long-forgotten brewing technique has been resurrected – it follows the rules of the original Bavarian Beer Purity Law and uses carefully selected hops from the Hallertau region. Its unique amber shade and full-bodied taste come from the cloudy sediment left in the beer; all in all, it’s a delight to drink. We recommend this dish: Try our juicy pork roast with crackling, two potato dumplings, homemade pork gravy, and cabbage salad. 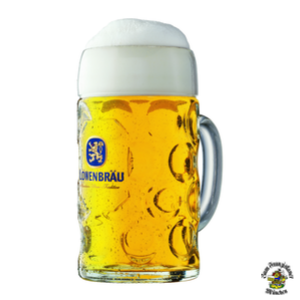 For most of the year in Munich, our liter beer steins are filled to the brim with Löwenbräu Original. 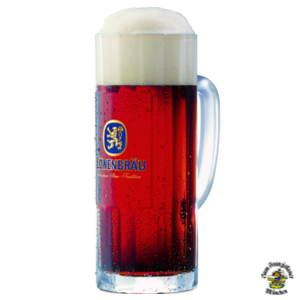 During the “fifth season,” however, which only exists in Bavaria, these big beer mugs are overflowing with delicious Oktoberfest beer. To drink either of these beers is an unrivalled experience. We recommend this dish: Our Haxe-Spezial is the perfect fit for a full liter of beer. It’s a crispy roasted ham hock served with dumplings and homemade gravy. Once you’ve tasted the delicate nuances of freshly baked bread, caramel, and nuts in the luxurious, cream-colored head of foam on this beer, you won’t be able to limit yourself to just one glass. This specialty dark wheat beer strikes a perfect balance, making it the darling of dark-beer aficionados. We recommend this dish: To complement this dark wheat beer, we suggest ordering our popular onion-topped roast beef with gravy, made of grass-fed ox and served with a golden Swiss hash browns and salad. 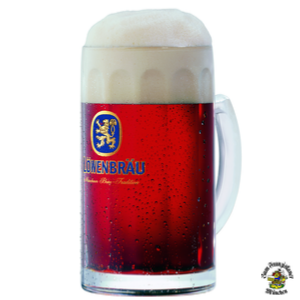 This is an old Bavarian specialty that only a highly skilled brewer can master. Its unique malty aroma comes from the well-balanced combination of dark roasted malt and other ingredients. True beer connoisseurs find it a joy to drink; it’s particularly enjoyable for cozy evenings with friends. We recommend this dish: It might sound strange at first, but we promise this is a delicious combination: If you’re drinking Löwenbräu Dunkel, we suggest ordering our homemade Kaiserschmarrn (a traditional dessert made of shredded pancake), which is served to you in casserole dish with almonds and raisins (but we can leave them out if you prefer) and glazed with sugar and applesauce or plum compote. 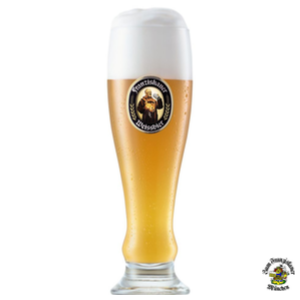 The epitome of Weissbier. This unmistakable beer’s flavor is subtly enveloped in elegant hints of malt. 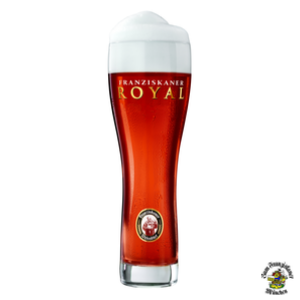 Franziskaner Royal is a stylish counterpart for refined cuisine and best suited for special occasions. We’re especially proud to announce that our brewery won an international award for this beer. We recommend this dish: It’s THE tradition here at the Franziskaner: Baby ribs cut from crispy roasted suckling pig with two potato dumplings and warm bacon-and-cabbage salad. Bavaria has a very long history of brewing strong lagers. Also known as “liquid bread,” it is said that, in days of yore, monks drank these strong beers to ease the unpleasantness of fasting. At 7.6% ABV, the Triumphator is a very special treat amongst our range of beers. 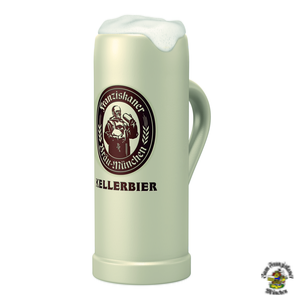 It’s only available during “Starkbierzeit” (“strong lager season”), which takes place every year during Lent. If you’ve never tried it, you have some catching up to do. We recommend this dish: Even though it’s intended as a way to make fasting easier, we still recommend ordering our Lower Bavarian roast with crackling, served with dark-beer sauce and potato dumplings, to go with the Triumphator. 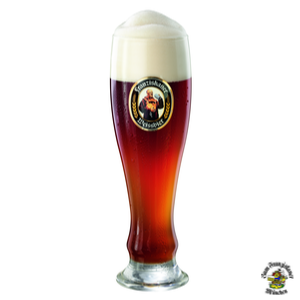 Franziskaner Hefe-Weißbier Leicht has less alcohol than other varieties and fewer calories. It’s ideal for connoisseurs who are trying to be conscious of their diet. 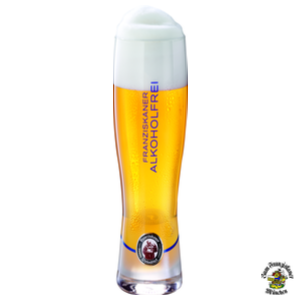 Its fruity, acidic freshness paired with a delicate head of foam will captivate you, along with its slight hint of citrus. A mild, malty aftertaste finishes off the enjoyable experience. We recommend this dish: Our filet of zander, roasted with the skin on in almond butter, served with succulent spinach and potatoes. This is a favorite of athletes. It’s an isotonic, nonalcoholic Weissbier that contains vitamin B12 and folic acid. This naturally cloudy, unfiltered wheat beer and its full-bodied, herby flavor is the perfect thirst-quencher for any occasion. Another plus is that it’s our brewery’s lowest-calorie beer. To your health! We recommend this dish: We suggest our tender turkey steak, cooked on a volcanic-stone grill, served with spicy mango chutney and a light salad on the side. Book quickly & easily via our online reservation system below or call us directly at: +49 89 231820.